We sing and play music. For those who just like to listen, we have that too. Club members are amateurs. We're home grown and just love to enjoy music when we're at club activities or outside events. We have two SATURDAY socials every month, where the stage sizzles with homegrown country, blues, jazz, rock'n'roll and even gospel music. The crowd laughs and jokes whilst enjoying the relaxed company. 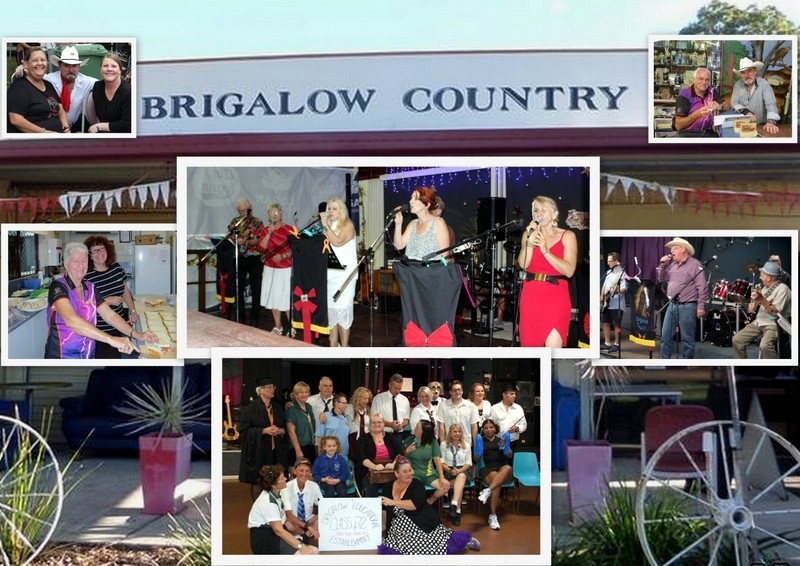 Brigalow hosts two "Country Escape" days each month. Click on the COUNTRY ESCAPE page in the menu bar above for all the details. Max is the Brigalow President. He's not a hoarder (but a collector). His sheds are full of furniture, wheelchairs and other stuff, for people in need. Through Brigalow, Max has spent years helping those in our community who have fallen on hard times. Whether it be electric wheelchair scooters, wheelchairs, products to assist the disabled, furniture or whitegoods, it's all dealt with. We love comedy - and our "Themed Evenings" (socials) are a hoot for our members. It's all about good fun and long held memories. For details and dates, check the SOCIALS page in the menu bar above. Come along to our events and have some fun with us .......... "YOU'RE WELCOME"